You're in for a treat... Noel Coward's Present Laughter is due in town! Andrew Scott is probably best known for playing the evil James Moriarty opposite Benedict Cumberbatch in the BBC's series Sherlock. He also scored a huge hit on TV in Phoebe Waller-Bridge’s series Fleabag. 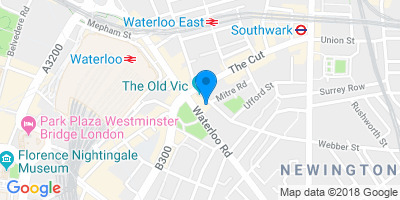 And he's an Olivier Award-winning actor, awarded the prize of an Olivier for Outstanding Achievement in an Affiliate Theatre thanks to his performance in A Girl in a Car with a Man at the Royal Court theatre. He's joined by Sophie Thompson, who recently wowed audiences in The Importance of Being Earnest, part of the Oscar Wilde season at the Vaudeville. Luke Thallon was star of The Inheritance at the Young Vic,and he's joined by Indira Varma from Game of Thrones and Suzie Toase from Harry Potter. So what's all the fuss about? 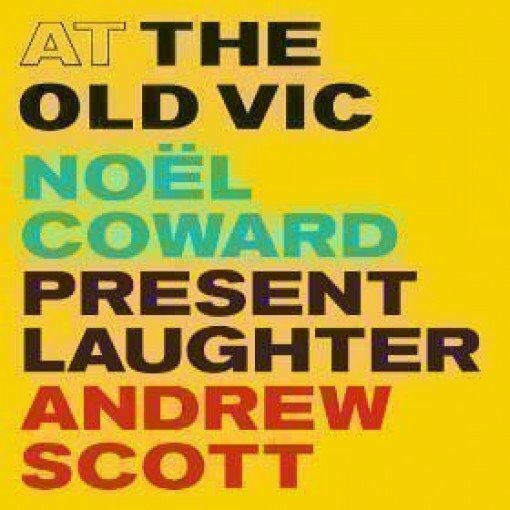 It's Noel Coward's magnificent comedy Present Laughter, and it's on at the Old Vic during summer 2019. The Old Vic's respected artistic director Matthew Warchus directs, fresh from the theatre's latest production of Charles Dickens' A Christmas Carol. He has worked with Andrew Scott before, on the dazzlingly good film, Pride. By all accounts he's thrilled to be collaborating with the actor once more, along with such an outstanding comic cast. The creative team behind the show includes designers Simon Baker and Rob Howell, and lighting designer Hugh Vanstone. Noёl Coward's work is always provocative, endlessly witty, clever and wise. Present Laughter is one of his best-loved comic plays, apparently semi-autobiographical and even funnier because of that. The Old Vic is one of the West End's best-loved venues. And Andrew Scott in the role of the vain, troubled superstar Gary Essendine? It's going to be totally brilliant. Coward himself starred in the main role during the first production of this play. And he has been followed by a host of glittering luminaries of the theatre and screen including Albert Finney, Donald Sinden, Peter O'Toole, Simon Callow, Victor Garber, Sir Ian McKellen, Rik Mayall and Kevin Kline. What's the story? Garry is gorgeous, witty and intelligent. He's always surrounded by adoring fans, but on the downside he's also surrounded by perpetual rumours about love affairs, and they're threatening his career. Now he has hit the magic four-oh, he's forty years old and about to encounter a whopper of a mid-life crisis. The result is a passionate and genuine observation of the perils of narcissism, hero worship and ultimately loneliness. But it's also a laugh-out-loud play that'll have you in fits. Don't miss it.